Is the fault-finding for the lover allowed in the religion of goodness and purity? Excerpts from "QED: The Strange Theory of Light and Matter". The Creator gave Mankind the faculty of cognition for words such as WHY for the purposes of dealing with his daily life to deal with rudimentary activities. Feynman and Wahshi teach us no way you will understand WHY! If you cannot understand the WHY for the behavior of Electron then no way you comprehend WHY for the actions of our Beloved Creator. The best estimate the cosmologists and physicists have for the age of the universe is about 11 billion years. Tell me how can you comprehend and describe the Creator ITself and ITs actions in few years of your short life? 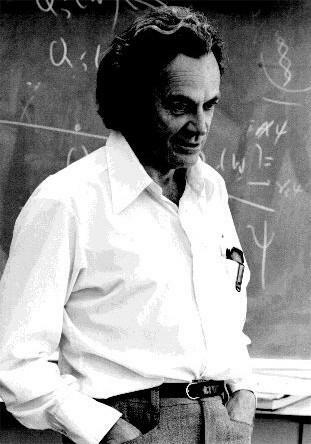 Feynman tells us that even he does not understand what he is teaching the students of Physics. He means, perhaps we have a language capable of expressing words or equations or numbers, we can follow through and deducing some final results of how things are, but no way we comprehend most of what they mean. Sufism is not about making common sense, it is about describing WHAT IS in PRESENT in front of your face in great details. No Sufi master demands that you like what they said or make sense of what they said. What they asked of you was to describe with clarity HOW THINGS ARE IN YOUR LIFE!